My friends are great-- they are constantly sending me awesome art and fashion related links. A friend and I are working on a top secret project that may morph into rhyme & reason's light + fashion that's unveiled below. 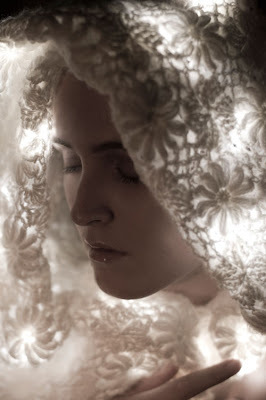 These creations are beautiful knitwear pieces on their own. 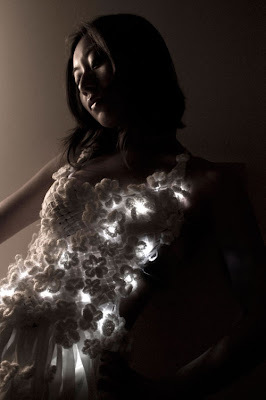 The soft glow of the LEDs through the white yarn is simply to die for. 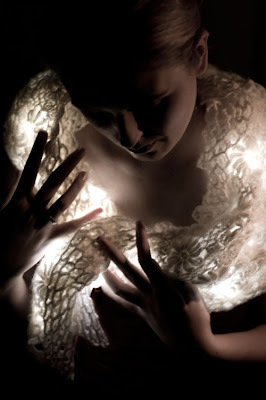 "rhyme&reason" is an exploration in using light as a material to create transformative fashions. 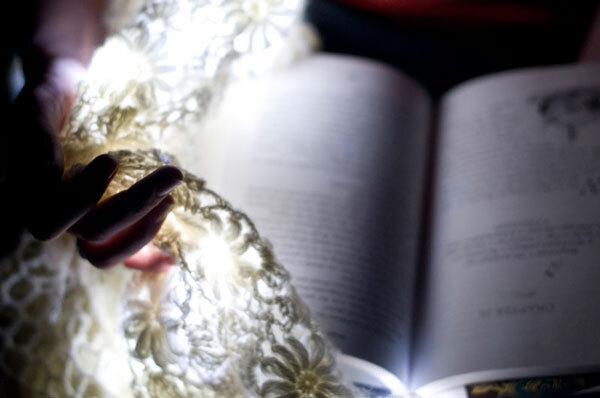 Reflecting on the change from day to night, inconspicuous white knitwear is enlivened by illumination, creating a sense of magic and mystery for the wearer.When not being worn, the pieces double in function as lamps, avoiding the fate of hanging neglected in a closet.